Sitting in the garden pavilion placed among the gardens on the south side of Monticello provides a unique view of Jefferson's plantation. 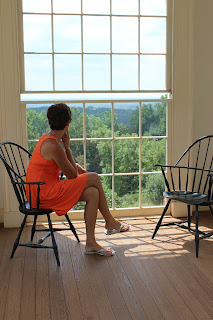 Looking over the hills of central Virginia and pondering what Jefferson thought about as he paused in this space. The harvest was nearly complete on plantation and the views were stunning. It is a beautiful spot to ponder life and enjoy the scenery. I have been reading more about Jefferson and he was certainly a complex man working on many intellectual levels. I am currently reading Thomas Jefferson: The Art of Power by Jon Meacham. I am fascinated by the unique view of Jefferson that he provides. One of the small things I discovered was that Jefferson was in Paris at the start of the French Revolution during the storming of the Bastille. 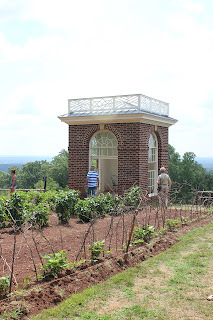 I enjoy wandering the grounds of Monticello and it seems that every visit brings a new discovery. I almost don't need the house tour anymore, however, I enjoy strolling through Jefferson's home and hearing the stories about his life. 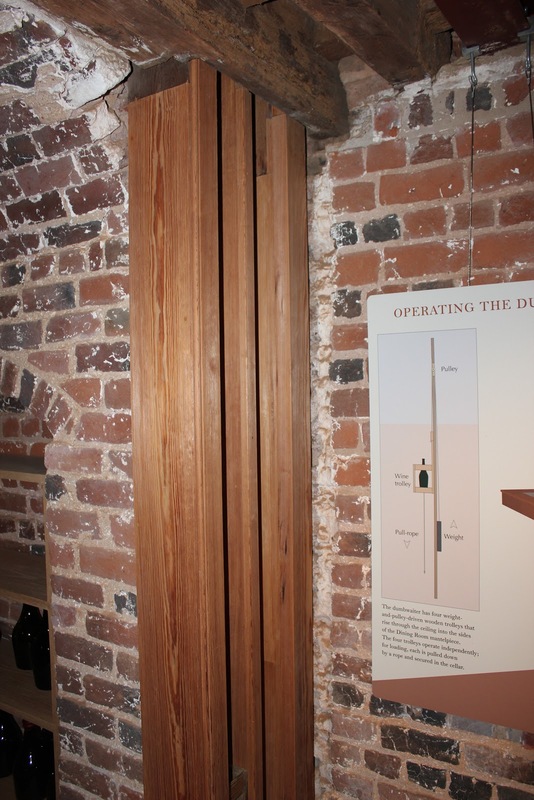 Most recently, I took a good look at the wine dumbwaiter alongside of the fireplace leading from the basement into the dining room. 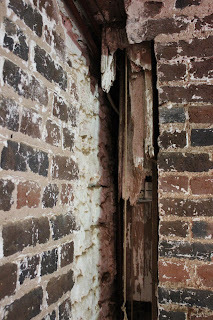 I noted the reconstructed side and was able to compare it with the original condition of the other side--huge difference and the clear evidence of the disrepair of the Monticello house during the past centuries. I'm glad they have not reconstructed both sides to provide a glimpse into the condition of the house without the restoration. One other thing I have come to realize, in reflecting about the amount of thinking and reflection that Jefferson did on horseback is that it must have been nice that horses have brains, unlike cars. Daydreaming while driving a car is a recipe for disaster; at least the horse has a sense of preservation. 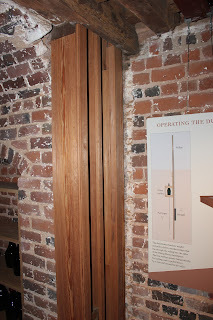 I will be back at Monticello again--and I look forward to the next discovery.